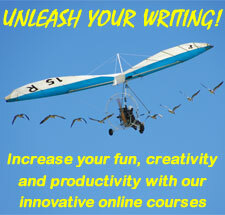 As stated in our mission, Fear of Writing promises to put the fun back into writing. We try to do this in ways that will support you in your efforts to be the writer you dream of being—but, let’s face it. You can’t have a well-rounded diet without some silliness vitamins now and then. 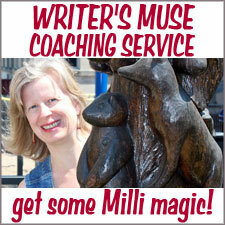 Today we’ll be milling around with some of the critters who write. I’m sure you know at least one; perhaps a whole motley herd, as I do. Maybe you’re even a critter yourself. Let’s start with a critter from northern climes; in this case, Alaska. The Tumblemoose blog is powered by the energy of a tumblemoose, which is like a tumbleweed for those not of the desert. George Angus, the guy who does all the work of writing and posting, is seen here with his friendly taskmaster. Next, we jump oceans to a critter from Africa. At Zebra Sounds, if you didn’t catch sight of the human photo of our own j, you could be forgiven for thinking that the zebra in the blog header having a permanent sparkly moment is a good writer; one who also incites people to doodle for the doodle galleries and give away hugs to strangers for the Love Project. I write stuff. Weird stuff. Stuff about werewolves, vampires, zombies, gunslingers, & leprechauns. Sometimes I publish that stuff. Be afraid. I’m a blind black cat with superpowers! My mom wrote a NY Times Bestseller about me called Homer’s Odyssey. 10% of our royalties go to help disabled pets! To balance out the abundance of cats, I should mention that Fear of Writing could have been called Dog Burning His Manuscript—but that probably would not have alerted people to the kind of help we provide. 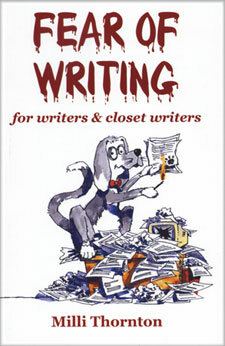 The desperate doggy on the cover of Fear of Writing is the sneaky brainchild of artist Steve Andrus. What *I* thought happened: The artist and the author agreed that the cover image should be unisex, so we chose to do an animal. Steve’s a dog person. I’m a cat person, but I gave him the green light to go dog. Steve wanted to paint a dog blasting a hole in its monitor with a shotgun. Being a pacifist, I said NO GUNS! So he toned it down to arson and gave the dog a bow tie. When confronted about the bow tie, Steve declared proudly: “Yes, this is a male dog.” Steve believes men are the true underdogs and when he saw the opportunity to avenge his fellow mutt in public, he grabbed it with both paws. Square Peg Karen, Crystal Chameleo, One Writeous Chick, Boonies Chick, Kid Stuph, Inky Twig, Milliver’s Travels, Creative Nachos, IQOKIE. One of my favorites is wordsxo, a blog by Julia Munroe Martin. Not a critter or a character but a passionate statement. As a writer, what else is there to say besides “I love words!”? OK, your turn. Name those critters. LATE EDITION: I couldn’t have my friend, Patrick Ross of The Artist’s Road, sad that there were no monkeys in this post. So after you leave a comment to name your critters, you must go see Patrick’s Easter Monkey. Don’t forget the Bronx Zoo cobra on Twitter with more than 200K followers! I’ll have to check out your Easter Monkey. I’ve been off the scene the past few weeks dealing with some health issues – need to get my fix of The Artist’s Road that I’ve been missing. Oh my, well, I hope you’re back on your feet. My thoughts go out to you. All I can say is……………LOL!!! This is a fun post talking about critters. Gonna check out werewolf mike – sounds funky and reminds me of an american werewolf in london, one of my fav movies. G.
Giulietta, glad you found it fun. I had a blast writing it. I’m still grinning from ear to ear from all the silliness vibes I got from the exercise. I love An American Werewolf in London too! Gosh, I haven’t seen that movie in so long. I should rent that again. Thanks for the reminder! Love this! And, I’ve never heard the story of the FoW picture. That is wonderful! Especially the pacifist move from shotgun to arson. Excellent choice. And my sparkly zebra is quite proud to make your list. By the way, have you thought of naming him? Or did I already miss a cool contest for your readers to name your zebra? Thanks for letting me hang out with your other critter friends and relations! We have a whole stable of critters over here. My husband “Froggy” just launched his iPhone Development blog hopalongDesign.com, featuring none other than a Blue Kangaroo. If you go there and think it’s a foreign language, well – just admire the roo! 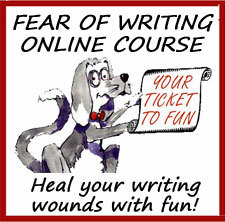 Speaking of putting the fun back in writing, I smiled all the way through your post Milli. And I love the way Steve gave you your concession NO GUNS then unpolitical by sneaking in a bow tie! 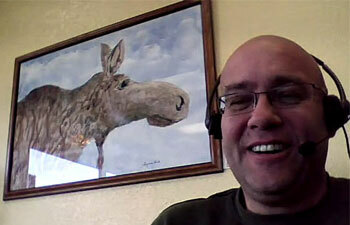 Great photo of George and the Moose. Years ago, I saw his critter while standing in a Montana forest (when watching the salmon come upstream)! Only about 2 yards away I was astonished at his size, but he lumbered along peacefully right by us. Wow, that’s amazing about the moose that sauntered by two yards away as you watched the salmon. Talk about a wild critter moment. I’ll check out peterrabbit.com. Thanks! Thanks for the IQOkie shout out. I’m sort of a critter, maybe a hyena. My Twitter name is from my misinterpreting a personalized license plate of a co-worker. I laughed when I saw it and said something about me being one too (not a lot of Okies in Calif). Things went from bad to worse when she finally told me it said ONE CUTE Okie, as in 1QOkie. Come on! Well, mine is an “I” thanks to that. What fun! Thanks Milli for adding me as a critter. Remember when we first met that I was really happy to know my Twitter handle was catchy? Sometimes we hope the goal gets met and to hear our aim was good is the best feeling! It seems I have some new critters to meet as listed here. Patrick Ross and Bacon… too funny. Thanks for introducing me to him by the way. He has some great posts on his blog! PS: I have a new website for any other critters interested. It may not be as critter-riffic as some others listed but I can dream, right? Comments welcome, even if it is just a comment of “Keep at it!” We all can use some critter support. Crystal! So pleased you found this post. At the time, I meant to Tweet everyone who was mentioned in it, but Life Happened and I didn’t manage to follow through. I’m tickled you found it anyway. Yes, I remember when we met and what a cool moment that was, bonding over your Twitter handle. 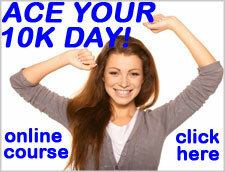 I will check out your new site and give it some critter love. Off to do that now! Couldn’t resist reading this when I saw the title as I looked for a place to subscribe. I’ve heard it said, “Some people insist on having FUN!” You must be a founding member of that movement?!?!! I’m subscribed to two of the sites you mention, Zebra Sounds and SquarePeg Karen—both healthy doses of unconventional. I was tempted to go to all the links before commenting but knew I wouldn’t make it back to comment if I did. 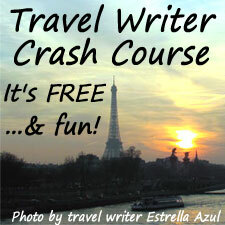 So now I am off to follow the links and to find out how to subscribe to this blog! While my blog Enlightened Ferret isn’t often written from one of my ferrets points of veiw it does offer a place for homeless ferrets to ask hoomans to check them out to see if they would make a good match. 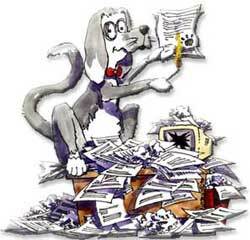 A newspaper style blog written by anipals of twitter.